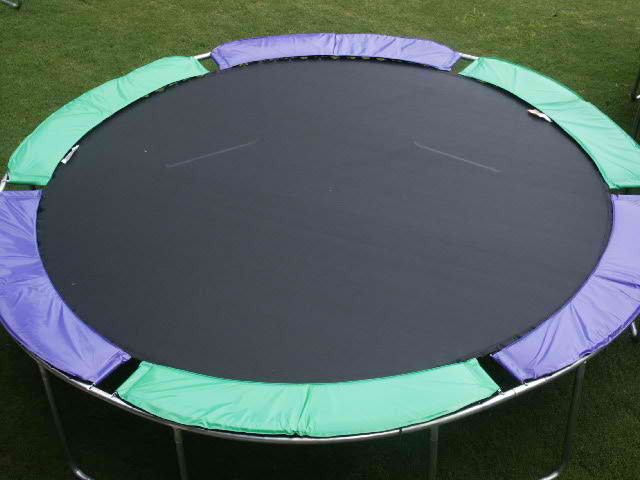 This Magic Circle Trampoline is 13 feet 6 inches and one of our most popular sizes! Comes with 6 individual safety pads. 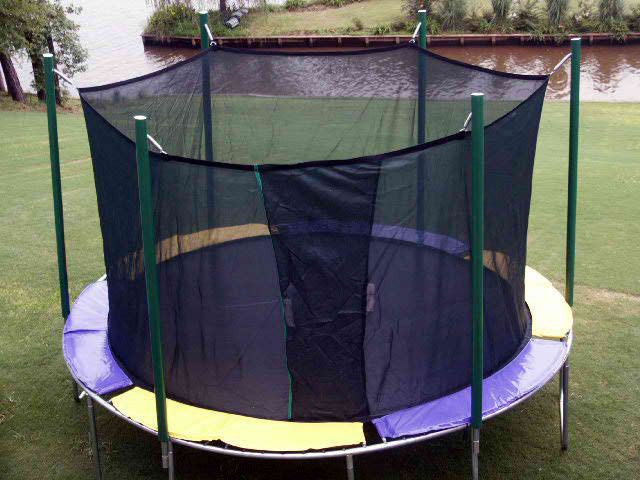 These come in purple, green, and yellow, but can be ordered all one color or just 2 colors of any combination. 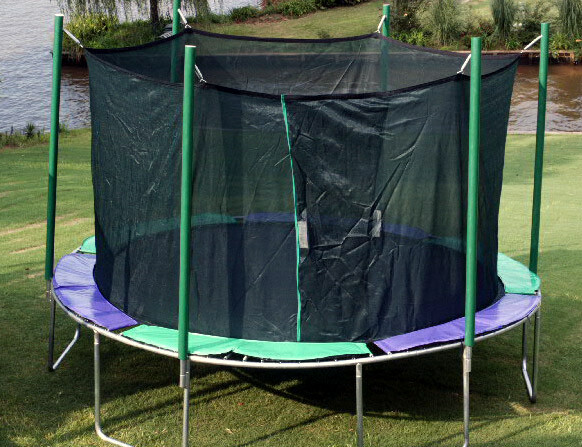 There are six pieces of top-rail, each 13 gauge steel, 1.66″ in diameter, and six one piece legs. Has 96 springs. Good quality 10oz vinyl pads that definitely stay in place – a spring goes through pocket at each end plus elastic tie-downs. 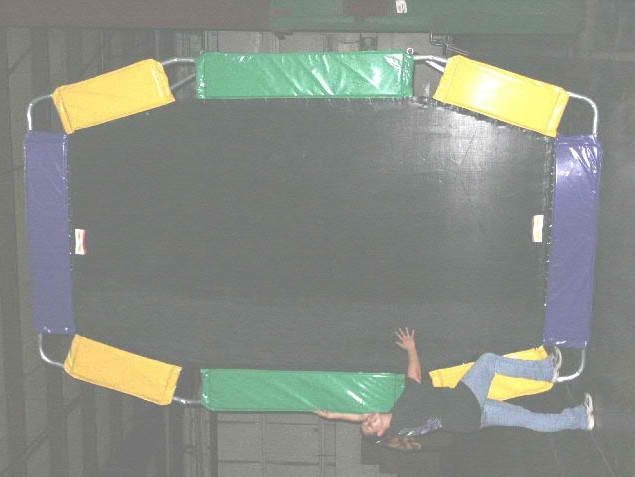 Color Choices– 6 pads on round trampolines. All 1 color or choose 2 or 3.